New Online Mag Seeks to Showcase "Literature From the Other Side"
Squalorly is an online lit mag publishing an array of fiction, poetry, and nonfiction from predominately emerging writers. The mag boldly claims to publish "literature from the other side," as per their tag line. As solid as the statement is, I've found some difficulty in locating a similar solidity within Squalorly's material, resorting instead to thinking that the new mag might benefit from more deeply clarifying their purpose and/or mission. I both sympathize and admire fellow writers who have taken on the project of developing a lit mag—whether online or in print; it now seems that writers and editors of new publications are faced with the additional challenge of not only publishing quality work, but with curating the writing they publish, dare I say, uniquely. The ever-growing number of publications beckons emerging writers to make their voices both heard and known. And so they, we—the emerging writers—are forced to find a home among them, fit with our own "brand," so to speak. This is in part why I found it rather difficult to draw conclusions about Squalorly lit mag—I read the issue overtly aware that their "brand" might not yet be fully realized, as the publication is still rather new; this was a difficulty also coupled with a blistering awareness that the notion of "quality" is all too often deeply subjective. "SQUALORLY IS YOUR QUARTERLY DOSE OF LITERATURE AND ART. WE COULD BE A MAGAZINE. WE MIGHT BE A JOURNAL. MOSTLY, WE ARE WORDS FUSED WITH IMAGES AND A LABOR OF LOVE." "WE COULD BE A MAGAZINE. WE MIGHT BE A JOURNAL." The Winter 2014 issue contains a cleanly balanced mix of poetry, prose, nonfiction, and an interview. Yet the writers, much to my distain, remain unknown; Squalorly has opted out of using author bios, deciding instead to flag the end of each piece with a Copyright symbol next to the writer's name; seemingly small elements such as author bios turn out to be remarkably effective in conveying a sense of professionalism—something I feel Squalorly might benefit from incorporating into future issues. "There was a woman on the train here. She flicked the window with a long fingernail. "Coyotes in the graveyard," she said. My sister couldn't believe it. One of the coyotes humped a tombstone. The other coyotes panted. "Coyote on the dance floor," I say into my phone, hoping the robot inside will take the initiative and call for help." The staccato-like quality of Hannan's imagery, though lyrical and poignant in its way, borders the poetic and thus runs the risk of being misinterpreted, for it lies within the "fiction" category. The story "Bottle Neck Path" by Michael Chaney seems to follow a similar trend—the complexity of its language skews a sense of "story" and leads the narrative astray. There is always a feast before there is broken glass. First come toasts to pillowed woodchips, then asphalt and beer. She sees boots kicked off and sodden toes rippling moon craters in the stream behind the monkey bars. He is sad as a monk at the sight of the empty case by the slide. By the end of reading through the issue's fiction section, I was left to wonder how different the poetry section could possibly be from it. The poem "Going Up The Hill, Coming Down" by Manik Sharma, a brief yet whirling trip into the dynamics of home and faith, reads effectively prosaic and urges me to wonder how different it would have come across to a reader were the piece to have been sanctioned under Squalorly's "Fiction" section instead. Yet then I pause for a moment, reconsider my thoughts, observe my tendency to want to mix-and-match the poetry and prose of this issue; I interpret this inclination of mine as evidence that Squalorly might ultimately be lacking an element of focus in its curation. Though almost as quickly as this thought arises, it recedes, replacing itself with a subtle appreciation for the ongoing changes amid the writing world where writers alike are managing to collapse the taboo "boundaries" that for so long have beckoned us to follow formats we've simultaneously idealized and criticized. Perhaps then, Squalorly is intrepid. I like Sharma's poem; in fact, I like most of the writing in Squalorly's Winter 2014 issue, but the form-based loose-ends that I sensed throughout the material takes away from my ability to gain a full appreciation of the text; there lie linguistic boundaries beyond the boundaries that new writers have attempted to escape through experiment, thankfully, yet these boundaries too carry with them new definitions that must be followed in order to make meaning understood. Ultimately, this becomes a creative challenge; it is a challenge saturated with possibilities. Lastly, Squalorly's Winter 2014 issue also includes an interview with Jason Braun—writer, teacher, and editor. The interview frames around a conversation about Braun's poetry, and yet as it progresses, the conversation whorls and warps around issues that seem a bit too removed from his actual writing. While many of the interview's questions begin in a focused manner, they often tend to extend without concision, paving unclear pathways for Braun's answers to formulate. Flaws notwithstanding, it is certainly clear that Squalorly is passionate about the work they publish, and about publishing in general; they too have a vision that's unique, though it unfortunately feels a bit too muddled within an over-ambitiousness that is perhaps one of the best challenges a lit mag can have. 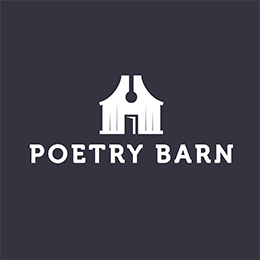 Among all else, I found the audio files at the end of each poem—recordings of the authors reading their work—impressively unique and effective in bringing the work to life in a completely new way. Squalorly seems to be keen on incorporating these small, yet effective multimedia elements; the photo banners above each piece, as another example, serve to create a visual home for each story and poem, adding a vivacity to the aesthetic of each page. For a budding lit mag, it is, I believe, both expected and accepted to have issues of focus and organization. Though Squalorly is no different, and would certainly benefit from a bit of fine-tuning and/or more closely defining their all-too-vague mission to "publish storytellers," I don't doubt for a minute that the labor of love in which they're engaged will continue to develop and strengthen, albeit with some expectable and essential detours along the way.